In just two months, 150 million users have visited the miniblog service's Tumblr , which completely changed the terms of service and completely banned adult content in the wake of the termination of the App Store by child pornographic content. It is reported that it decreased by 30% of the whole. In November 2018, Tumblr's iOS app has suddenly become unavailable for download from the App Store. As a result of investigation, it became clear that the cause is "because child pornographic content was handled on Tumblr". So, Tumblr has added a clause to the rule that prohibits the posting of adult content, which has been almost unlimited so far. 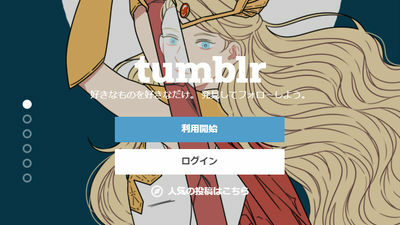 Furthermore, as a result of deleting the child pornographic content which had become a problem, Tumblr returns to the App Store in December 2018. On the other hand, users complained that "definition for adult content" shown in the new guidelines by Tumblr was too vague. In addition, Tumblr tried to send an alert automatically to the previous posts by its own algorithm, but it was also talked about the judgment being too crude. 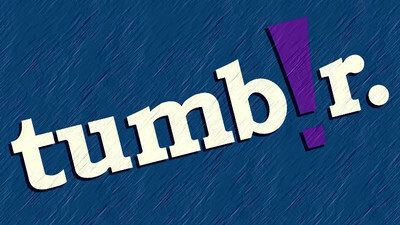 Tumblr receives criticism from users and "unless it is illegal, the posted content will not be deleted." "The algorithm improves the accuracy if the case is repeated." "To form the Tumblr as before. "Please continue," posted an official blog asking the user to understand the decision to ban adult content. According to the web analysis company SimilarWeb , the monthly page view of Tumblr in December 2018 was about 521 million, compared with about 437 million in January 2019 and about 3 in February 2019. The number of accesses has dropped sharply by nearly 30% in two months, at 70 million. 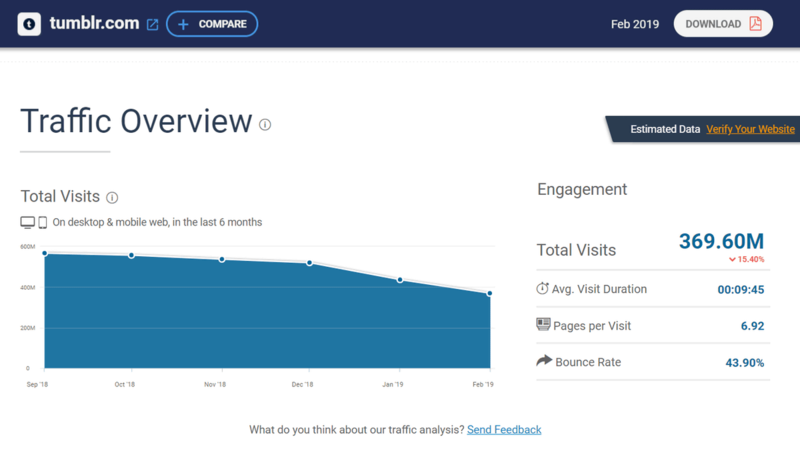 In fact, if you look at the graph published by SimilarWeb, you can clearly see that the transition in the number of accesses that had been smooth has dropped sharply from December 2018. 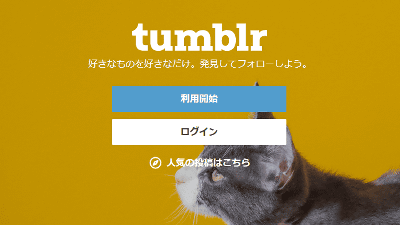 According to foreign media's TNW , Tumblr has a large user community for sharing content for adults, and it has also functioned as a valuable source of social minority users. In addition to the fact that the number of access for Tumblr fell sharply, along with the fact that users who love adult content were totally excluded from Tumblr, those who responded that they were “sexist” to the ambiguous definition of adult content were also Tumblr. The reason is that TNW is analyzing. While it was clear that TNW "must take measures to eradicate child pornographic content from the platform," said Tumblr's response, "Tumblr does not just remove offensive content, We have chosen to destroy all the content that has been submitted so far and start over again. "The content of the guidelines for defining adult content with Tumblr was essentially sexist."